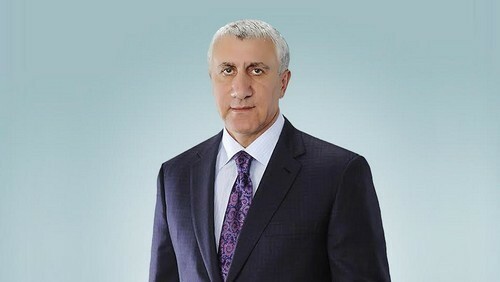 Seyfeddin Roustamov, beneficial owner of PJSC Metafrax, one of the largest producers of methanol and its derivatives, spoke about the company’s strategy and plans. Mr Roustamov, How do you assess Metafrax’s results for the year 2017? In general, the year was successful. The Metafrax parent company produced over 1.1 million – tons of methanol: it has been a record for our annual production so far. By methanol output – Metafrax is No. 1 company in Russia and Europe. Production of urotropine and pentaerythritol also peaked in comparison with previous years. Output of synthetic resins by subsidiary company Metadynea reached 1 million tons. During 2017 earnings of Metafrax group of companies exceeded 700 million USD. I also need to mention implementation of our investment program. Last year we conducted second stage of methanol unit reconstruction and completed the preparatory work for construction of Ammonia-urea-melamine plant. Site was prepared and building permit has been obtained. Contracts are signed with the licensor and general contractors of the project. Insurance contracts also concluded. The cost of new production unit will be more than 1 billion dollars. Now its construction has entered an active phase: laying of engineering networks is about to be completed and first groundworks have started. What effect do you expect from the implementation of such a large-scale project? It completely fits into the development strategy of the group. Ammonia, urea, melamine are the ingredients used in production of our products, primarily synthetic resins. Realization of the project will allow us to retain the leading positions in this segment of the market. Seyfeddin, how do you generally assess the situation in the global methanol market? Methanol market in recent years is characterized by high volatility associated with several factors. Among them – launch and construction of new methanol production facilities in the US, Russia, and Asia, constant change in demand for methanol from Chinese consumers and an unstable correlation between the price of ethanol and methanol. Which sales markets are key to Metafrax? For export destinations, the European market, as usual, remains a priority, especially with the preservation of ratio between USD and Euro in today’s conditions. Nevertheless, in connection with the globalization of methanol market, company constantly monitors alternative sales markets and analyzes efficiency of sales in other areas. As an example, I can say that by the end of 2017 we have increased our supply to counterparties from the United States by more than a quarter. Among other reasons, this was made possible by opening a buffer warehouse in Detroit. Logistics chain has moved closer to consumer: now product is delivered to the end user not in weeks but in a few days. How interesting is the Asian direction for Metafrax? Asian direction remains one of the few characterized by constant significant growth. Therefore, work in the Asian markets is strategically important for us, despite their geographical distance and difficulties associated with logistics in this direction. I will say more: in February 2018 we registered in Seoul (South Korea) a joint venture with large Korean chemical manufacturer and developer Samyang. We expect to increase sales volumes of PJSC Metafrax products in Asian markets. Already now the company sells its products to such countries as China, India, Japan, Korea and Thailand. What are the challenges facing the business and which growth points can be used? The main challenge is an increase of methanol surplus in the domestic Russian market and a decrease in marginality in methanol business. Strategy of PJSC Metafrax is based on maximizing depth of methanol processing and increasing production of final chemical products in the segment of resins, paint and varnish products and coatings. Seyfeddin Roustamov is an entrepreneur in the field of energy and chemistry, investor, developer and active philanthropist. In 2014, Mr Roustamov became the beneficial owner of Metafrax (Gubakha, Perm Territory, Russia). Since the 2000s, he has been actively engaged in trading chemical and petrochemical industries, investing in energy funds, commercial and residential real estate.